10+2 passed with science sub,ject from a recognized board; and 2 years diploma in medical laboratory technician or PMW or related subject or one year DMLT plus one year required experience in a recognized organization or two years field/lab experience- in recognized organization. *B.Sc. Degree sholl be treoted as 3 veors' experience. 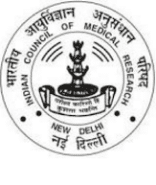 National JALMA Institute of Leprosy & Other Mycobacterial Diseases recruits Field Worker Posts. Candidates with 12th pass. B.Sc, Diploma experienced can apply.